Need a gift for the coffee lover in your life? 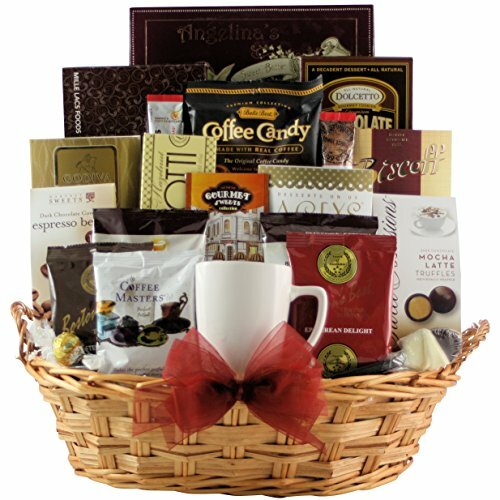 For the Love of Coffee basket is just what you need, featuring a variety of specialty coffee flavors including Godiva Chocolate Truffle Flavored Coffee and Barnie's French Vanilla Coffee. Harvest Sweets All Natural Dark Chocolate Espresso Beans, Angelina's Sweet Butter Cookies, and Lindt White Chocolate Truffles are just a few of the sweet treats included in this beautiful basket.